“Bernie Sanders by Gage Skidmore” by Gage Skidmore. Licensed under CC BY-SA 3.0 via Commons. 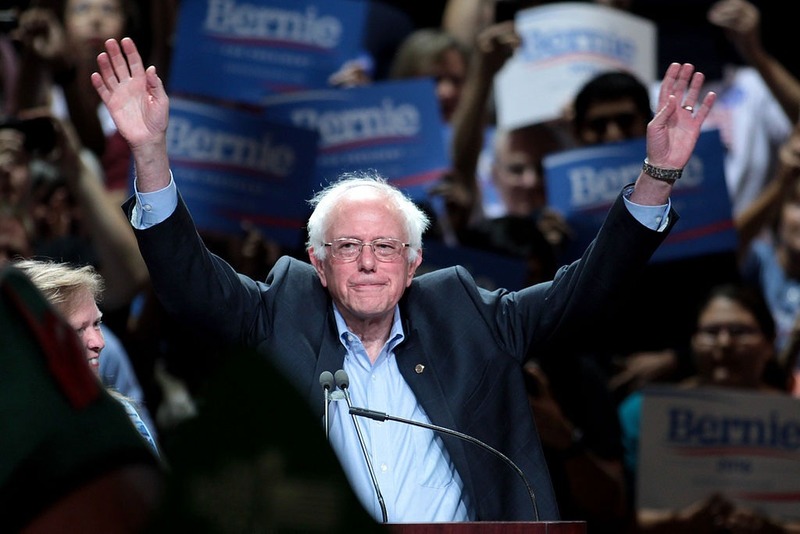 Last week, NPQ ran a newswire about what nonprofit fundraisers might be able to learn from Republican online fundraising stats, so this week we will look at what, if anything, we can learn from the extraordinary recent performance of the Bernie Sanders presidential campaign. A New York Times editorial calls that performance “a fundraising shocker” in that it is astoundingly neck-and-neck with Hillary Clinton’s campaign, having brought in more than $26 million in small-dollar donations over the last quarter. Clinton brought in $28 million, but this entailed the power couple double-teaming the high-dollar donor circuit. Sanders has made a point—along with Donald Trump, by the way—of eschewing the Super PAC route. He’s running as a social democrat with a clear economic justice message, and he does not spend his time in rooms that belie that message, meaning that he is primarily dependent on low dollar online donations. His campaign has 1.3 million donations, averaging $30 each, from 650,000 distinct contributors—surpassing the small-dollar gifts record held by the 2008 Obama campaign. Three months ago, Clinton’s campaign reported a total of 250,000 donors, but this excludes the last quarter’s gains. The small-donor activity may reflect growing public concern that democracy is under assault from politicians’ increasing reliance on millionaire supporters. An opinion poll this month by Bloomberg Politics shows that a stunning 78 percent of the public favors overturning the Supreme Court’s Citizens United decision, which has unleashed unlimited amounts of cash on political races, much of it coming from undisclosed sources. The public’s disdain cuts across party lines, with 80 percent of Republicans, 83 percent of Democrats and 71 percent of independents opposed to the court’s allowing corporations and unions to spend unlimited amounts on political causes. The totals for candidates’ formal campaigns are separate from the scores of millions in special-interest money amassed by super PACs trying to dominate the election. Whatever his fate before the voters, Mr. Sanders has shown that it’s possible to amass a war chest from ordinary people who are sick and tired of big money politics. Just when you thought that concealing donor monies in nonprofit guise could not get stealthier, in steps the Arizona legislature to be sure that it does.